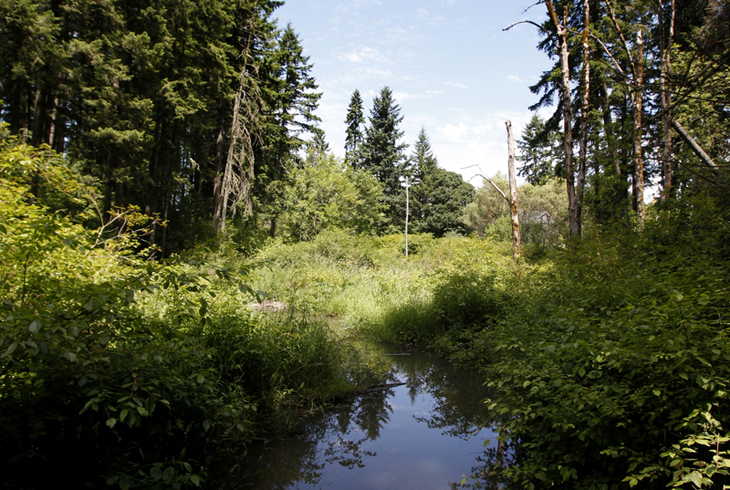 Brookhaven Woods Natural Area is a 15-acre forested and wetland natural area in West Beaverton, just north of Lowami Hart Woods Natural Area on SW Hart Rd., west of SW Murray Blvd. This natural area is a great location for anyone hoping to catch glimpses of birds and local wildlife. Johnston Creek flows into the site from the south, through Lowami Hart Woods Natural Area, on its way toward Beaverton Creek and Tualatin Hills Nature Park. The natural area is accessible from residential neighborhoods on either side. From the east, trails are accessible on SW Nehalem Ln. and SW Tierra Del Mar Dr. From the west, use SW Barcelona Way, SW Daphne Ct., SW Ivy Glen Ct., and SW Kilchis Ct.